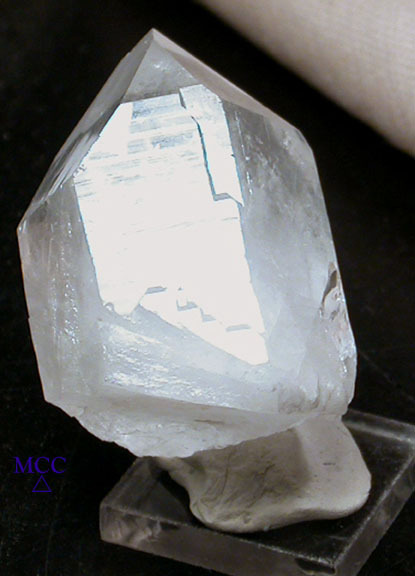 A slightly distorted Hera crystal from Arkansas, it's 1 1/2x 1 1/8x 2" self-standing, with a nice heft to it. Fleabites along its' chisel top edge point to record keepers and a slim included twin crystal. A fringe of accessory tabular points are parallel growth on the same side as the twin. There's an arc of devic veils pointing up from deeper ones, a rainbow, and raised glyph patterns on this stone's prisms [sides]. Easy to carry and have along with you.